We are a well-renowned organization in the industry to provide our patrons the best quality array of Ladies Patiala Suit. 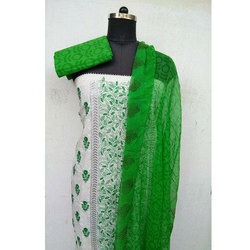 Pure cotton printed and plain patiyala with dupatta. Different prints and colours available. Also available in wholesale quantity.